"Breaking of the St. Francis Dam"
"The Breaking of the St. Francis Dam" by John Hutchens (J. Mcghee). 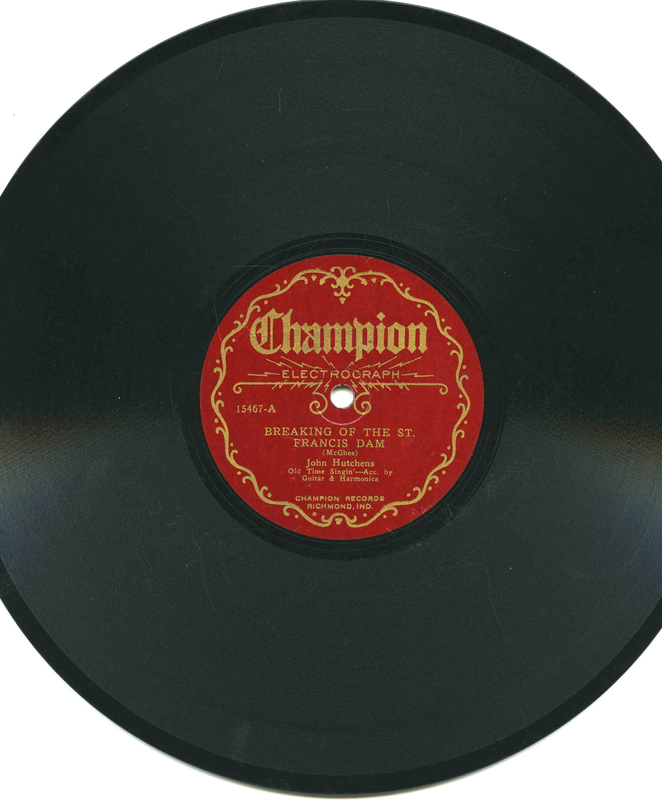 78 RPM record released March 25, 1928, Champion Records, Richmond, Indiana. AL2062: 9600 dpi jpeg from original 78 RPM record, collection of Alan Pollack.